Beautiful TATUM HIGHLANDS home just minutes from fabulous shopping and dining at Desert Ridge and the fun, quaint Downtown of Cave Creek! This popular model has been ENTIRELY REMODELED from top to bottom. Gorgeous granite counters and classy upgraded cabinets throughout. Custom paint, ceramic tile plank floors, vaulted ceilings, large second Bedrooms, large Kitchen with an island and gourmet gas stove, stainless appliances, security system, sunscreens and Den are the highlights on the inside. Your backyard Oasis boasts a large sparkling play pool, covered patio, misters, surround sound, putting green and palm trees. Definitely ideal for really relaxing or entertaining! Light and bright and offers lots of space and privacy with its preferred split floor plan! 10++ Must see! Approximate size: 6727.00 sq. ft. Please, send me more information on this property: MLS# 5869196 – $454,900 – 4224 E Spur Drive, Cave Creek, AZ 85331. 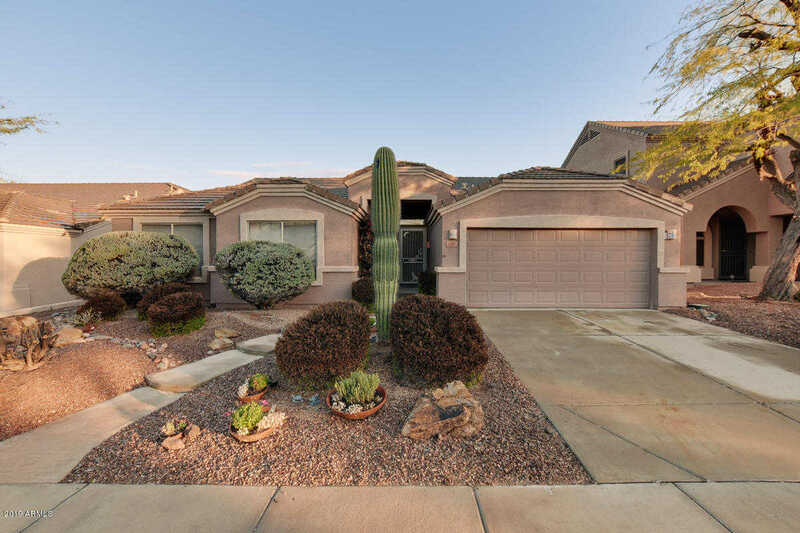 I would like to schedule a private showing for this property: MLS# 5869196 – $454,900 – 4224 E Spur Drive, Cave Creek, AZ 85331.